A big shout-out to Stephanie, our featured team member this month. 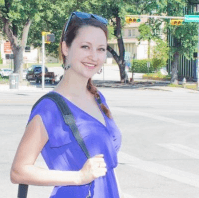 Stephanie is a Social Media Manager at MindEcology, having joined our team in October of 2015. What’s not to like about Stephanie? She’s hard-working, extremely personable, and has creative skills to beat the band. Stephanie has a formal education in photography, and her ability to capture that “just right” shot for our clients continues to amaze. She also sports the technical skills needed to run an impressive social media campaign. When Stephanie is on the job, we know she’ll make our clients’ social media presence rocket to new heights. We appreciate you, Stephanie!